If you need a reliable lifting and pulling solution with a high weight capacity, SafetyLiftinGear has a great range of Hand Winches that are sure to suit your requirements. With weight limits ranging from 150kg to 2 tonnes, we have an excellent variety of Manual Winches available, and they're suitable for everything from domestic pulling applications to heavier applications within an industrial environment. Our collection of Hand Winches are designed to provide reliability, strength and versatility, making them safe and easy to use no matter what the task at hand might be. For added assurance, most of the products in our hand winches department also come with an outstanding 12-month warranty, assuring both quality and robustness. Many of our high-quality Hand Winches are available to hire as well as to buy, so whether you have short- or long-term winching needs we are confident that you will be fully satisfied with our service.  When ordering your Hand Winch online with SafetyLiftinGear.com, it is important that you read the product description and specifications carefully in order to ensure that the hand winch you are ordering is the correct choice for your application. To preserve the safety and the longevity of our Hand Winches, please ensure that the length and weight specifications are right for your job. If you wish to purchase a Manual Winch outright, simply add your chosen product(s) to your SafetyLiftinGear shopping basket, then proceed to our secure e-payment system to check out and complete your order. To hire one or more of our Hand Winches, add the required product(s) to your hire basket and fill out our online hire enquiry form to request a quotation for your specified rental period. You will then be able to collect your items from your nearest SafetyLiftinGear depot. If you have any questions about our range of Hand Winches, please don't hesitate to get in touch.